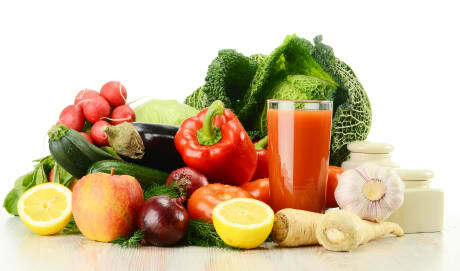 Dr. Mark H Getelman, MD is a Doctor primarily located in Thousand Oaks, CA, with another office in Van Nuys, CA. He has 30 years of experience. His specialties include Internal Medicine, Sports Medicine and Orthopaedic Surgery. He speaks English. Dr. Getelman has received 2 awards. The overall average patient rating of Dr. Mark H Getelman is Great. Dr. Mark H Getelman has been rated by 21 patients. From those 21 patients 6 of those left a comment along with their rating. The overall rating for Dr. Mark H Getelman is 3.7 of 5.0 stars. I have never been treated so deplorably with such absolute lack of professionalism or respect than from Dr. Gettleman's office in Thousand Oaks! I agree with other reviews, Dr. Gettleman and his PA were nothing but arrogant and useless. I have had three other doctors say I need Rotator Cuff surgery(including the QME/mutual Work Comp doctor). All the other doctors say your shoulders are so bad, the one rotator cuff is torn completely in half. Dr, Gettelman and his lady assistant say "we would never say you need surgery after looking at these MRI's, they are really bad quality". He says "I will put in a request for a current MRI". Three and a half weeks later I call to find out what's happening with the MRI request. First lady says "sorry, we messed up the request was never sent". Then Sarah calls me back and says "it was a consult only, Dr. Gettleman does not request MRI's your primary physician does". SERIOUSLY FOLKS, GET YOUR S--- TOGETHER AND STOP BEING SO CARELESS, UNPROFESSIONAL AND DISRESPECTFUL TO PATIENTS! I waited 2 hours to be seen at this office and Getelman spent about 3 minutes in the room with me. He has the most arrogant, pompous, horrible bedside manner. He had absolutely no interest in helping me from the minute he opened the door. He confirmed my diagnosis, but offered no help and repeated over and over that the problem would not fix itself. Ahhhh…. That’s what I came to you for! I am in pain with a torn tendon and needed medical attention or a plan of care. Nothing offered. He was out of the room before I could even ask a question. His PA is just as arrogant and pompous as he is so I guess he is training her well. There is no way for him to be getting all of these positive reviews. I noticed afterward that the most positive reviews are on his own website which he can control and is what I mistakenly went by to make the appointment. Lesson learned. Let’s see if my review makes it to his website. Take a look at Yelp or Google for reviews. Dr. Getelman performed arthroscopic surgery on my left knee with great results. He is caring, thorough, and accurate. He also cared for my dislocated shoulder with therapy. His assistants and office staff are most successful in orthopedics and billing. A most gifted physician. Dr. Gettleman is supposed to be an expert, BUT he was wrong in his diagnosis, dismissed me as a patient, and then suggested therapy that actually made my condition worse. When I reported my increasing pain, he ignored me, even keeping his back toward me, avoiding eye contact. Horrible doctor! Dr. Getelman graduated from Tulane University and the University of Florida College of Medicine. He completed his Orthopedic Surgery Residency training at Boston University. While in Boston Dr. Getelman received additional fellowship training. He spent one year as an Orthopedic Trauma Fellow at Boston City Hospital and one year as a Sports Medicine and Adult Reconstructive Surgery Fellow at St. Elizabeth's Hospital, a Tufts University affiliate. He was an Associate Team Physician at Boston College and was the Resident Sports Medicine Director at Boston University from 1995-1996. Subsequently, he completed a one-year fellowship in Sports Medicine and Arthroscopic and Reconstructive Surgery at the Southern California Orthopedic Institute. Dr. Getelman has published articles on shoulder, knee and ankle topics and has written several textbook chapters. He has presented scientific papers at national orthopedic meetings and has taught advanced arthroscopic surgical techniques to physicians nationwide and around the world. In addition, Dr. Getelman is currently the Co-Director of the prestigious Southern California Orthopedic Institute Sports Medicine Fellowship Program, and has participated in the training of over 50 orthopedic fellows since joining SCOI. A Diplomate of the National Board of Medical Examiners, Dr. Getelman is a member of the American Academy of Orthopaedic Surgeons, the Arthroscopy Association of North America, and the American Orthopaedic Society for Sports Medicine. He is Board Certified by the American Board of Orthopaedic Surgeons. In his free time, Dr. Getelman enjoys playing golf, fitness training, traveling, skiing, and spending time with his family. Mark H. Getelman, M.D. is available to see patients at the Van Nuys and Thousand Oaks offices. Take a minute to learn about Dr. Mark H Getelman, MD - Sports Medicine in Thousand Oaks, CA, in this video. Dr. Mark H Getelman is similar to the following 4 Doctors near Thousand Oaks, CA. 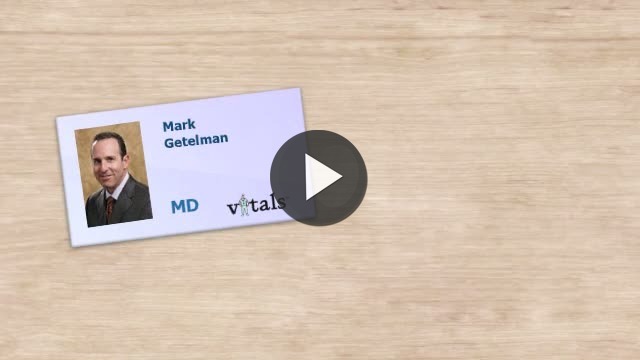 Have you had a recent visit with Dr. Mark H Getelman? Select a star to let us know how it was.